Hey everyone. I’ve been using Cinema 4D for two years now, with the help of octane and Boujou for matchmoving, and the other day I was watching this youtube video where the guy recorded his footage with a normal camera and a 360 camera, and after 3D tracking and all of that, he used the 360 footage as kind of an HDRi to get the reflective materials to reflect the video, making the composition even more realistic. 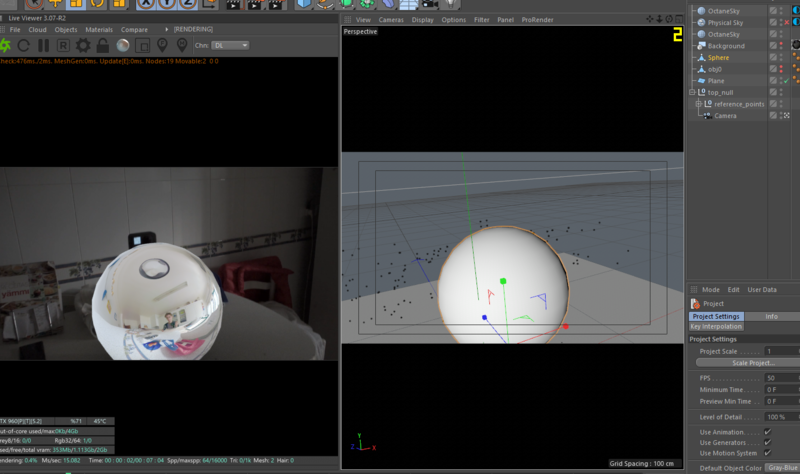 I got myself a 360 camera and tried to do the same, but Cinema 4D/Octane doesn’t seem to figure out the right way to stitch the footage, getting the models to reflect all of the footage instead of just the side it was supposed to reflect.